Good morning, readers! I’m still playing catch up for Digit-al Dozen New & Improved Week. 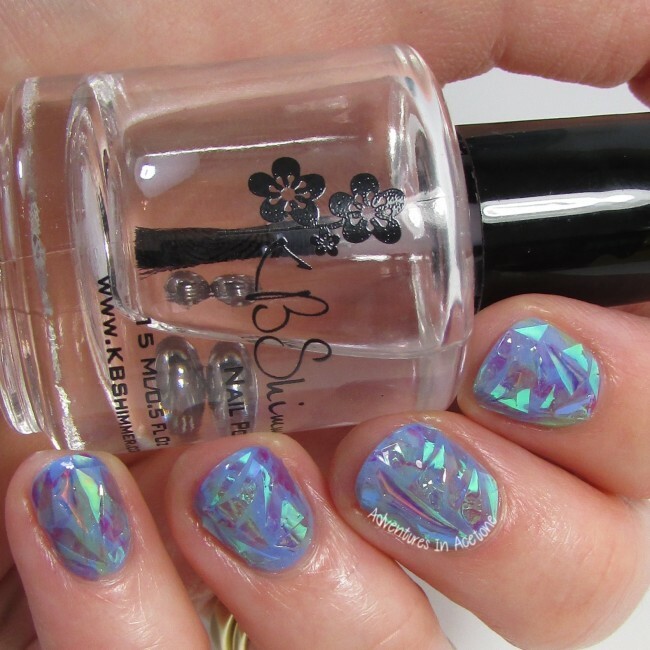 For Day 3, I’ve finally tried out the shattered glass nails trend we’ve been seeing for months! 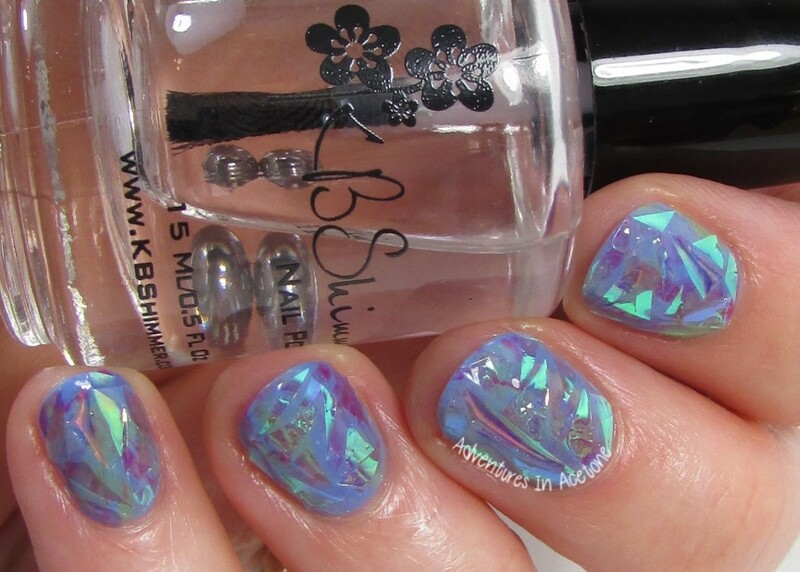 Although most of the manis I’ve seen are over black or dark bases to let the cellophane colors show, I was drawn more to the opal-inspired manis adding the cellophane pieces to lighter bases. This is not as easy as I expected it to be based on the videos I’ve seen, mostly the cutting of cellophane into TINY triangle shards. Maybe I shouldn’t have used my regular craft scissors and some kind of small ones, but wow I found myself trying to cut pieces in half for them to fit on the nails. The little shards were sticking to my scissors with static as well. Ha! Let’s take a look. Once the base was dry, I used the dry brush technique to swipe random spots on the base with a lavender, coral, and yellow. I cut up tons of tiny triangle “shards” out of a roll of iridescent cellophane from the party store. I added a coat of top coat to the first nail and then started placing the shards onto the wet surface. Once I was happy with the placement, I used my finger tip to gently press along the nail to encourage adhesion of the shards. I used two coats of KBShimmer Clearly on Top top coat to seal in the shards. While I am happy with how these turned out, there were still parts of the shards that wanted to poke through the top coat and I don’t know how often I would be happy wearing a mani like this. 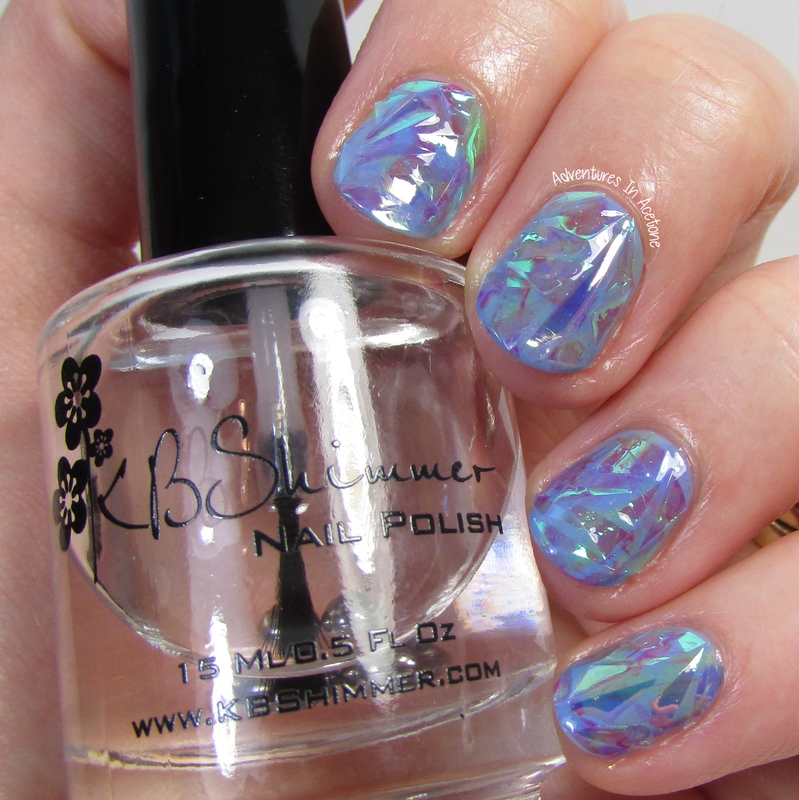 Have you tried Shattered Glass nails yet? What was your experience? Beautiful! I haven’t tried this yet; I can only hope it turns out half this good! These are gorgeous! I love that you used a lighter base!